Click on the links below to open the latest letters and school information. Click the link below to read our most recent Estyn Inspection report. Please find links to some useful websites below. Forresters stock our school uniform. 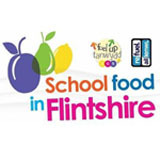 Click here to find out about our school dinner menu. Key Stage 2 children use this website. Open this link to view maths resources aimed at 3 to 16 year olds. Use this website for fantastic ideas about books to read with your child.